Eric, who started his career in EMS while in the military, was involved in two very high profile incidents where his courageous and noble actions were highlighted. He now often provides guidance to fellow team members that have experienced difficult calls about how to best cope and move forward in a positive manner. 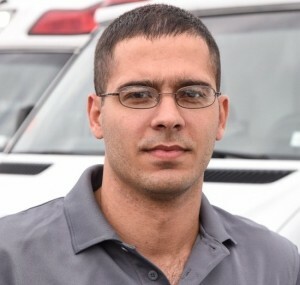 Also, Eric’s communication with patients and families exemplifies the standards of an EMS provider by ensuring both are comfortable and confident that the best care is being rendered. One area that stands out when talking about Eric is how he was so determined to adjust to civilian life and overcome the challenges of his time in the military. He hopes his experience will help others that are returning home and addressing similar challenges. Eric is currently pursuing his paramedic certification with the same determination and dedication that he has shown in all other aspects of his life.